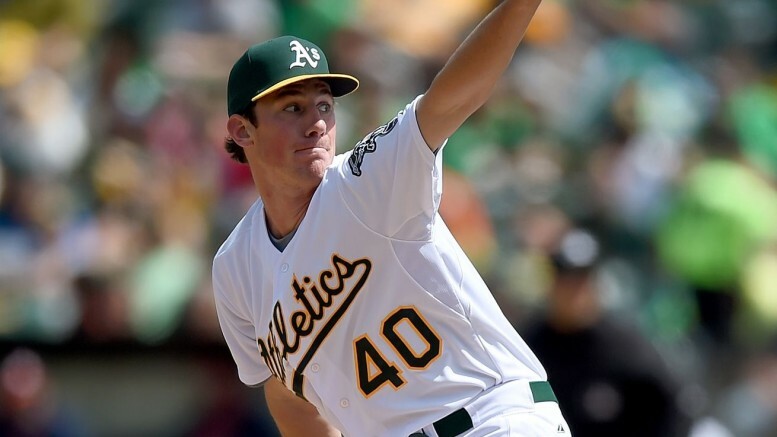 Chris Bassitt hounded Seattle yesterday as the Athletics finished the opening week in first place in the AL West. One is an accident, two is a trend, three (or more) is evidence. It’s my favorite Chris Berman-ism. For Trevor Story, this is more like a fairytale. Seven home runs in the first week of the season. Up in Toronto, Troy Tulowtizki, the man he is essentially replacing is off to a miserable, 3-for-25 (.120) start with just one dinger. Story is on pace to mash 189 home runs. That won’t happen, of course, but he could well put up far better numbers than Tulowitzki. It’s also far too early to tell how the Tulowitzki trade, which brought back pitching prospects Miguel Castro and Jeff Hoffman and embattled shortstop Jose Reyes, will be judged. But Story is starting to make that a moot point. One of the reasons the Orioles posted a run-of-the-mill, 81-81 record in 2015 was their inability to put together winning streaks. It’s only taken a week for them to nearly match last year’s long run of six straight victories. Their best start since 1970 won’t guarantee them anything. But it is sound proof that they are legitimate contenders for the AL East crown. They have as powerful a lineup as any in baseball (yes, that includes the mighty Blue Jays) and a deep, stout bullpen. The starting pitching will ultimately tell the story, but there is reason to believe that Chris Tillman will bounce back in a big way from a down 2015 year, and Yovani Gallardo is an underrated, if not ace-material, arm. Ubaldo Jimenez could also rebound, and the team is waiting for the healthy return of the staff’s most electric arm, Kevin Gausman. All that, plus winning five games mostly without the services of Adam Jones, and 5-0 hardly seems like a fluke in Charm City. It was enjoyable watching young Chris Bassitt range pitch speeds from 70 mph to 96 in dominating the Mariners yesterday. The A’s swept the Mariners in Seattle, and are in first place in the AL West at 4-3. Bassitt baffled Seattle hitters most of the afternoon, and FanGraphs tells us that he is using his offspeed pitches at a much higher rate in 2016 than his previous two years in the majors. His average fastball velocity is 93.7, up two full mph from two years ago with the White Sox. A rotation spearheaded by Cy Young candidate Sonny Gray could gain much more credibility with Bassitt’s emergence. By sheer numbers, it’s true. Since 2012, the Reds have walked off more times (35) than anyone else in baseball. Considering they have missed the playoffs the last two years, that comes as a shock. So does the fact that they are 5-1, tied for the best mark in the National League. A talented young rotation that doesn’t know any better and a lineup that still has plenty of capable veterans suddenly appears poised to massively exceed expectations. No, they probably aren’t a playoff team, but a .500 record doesn’t seem out of the question, either. Let’s establish this right off the bat: the Minnesota Twins are not as bad as their 0-6 record. The Atlanta Braves are exponentially worse than their 0-5 mark. Minnesota has run into a couple of hot teams in Baltimore and Kansas City on the road, and has an uphill climb after an overachieving 2015 campaign. The Braves, on the other hand, are far away baseball’s worst team. Not only were they swept at home by the Nationals and Cardinals, each game seemed to be more embarrassing than the last. Against St. Louis, Fredi Gonzalez — the ultimate cat with nine lives — watched his team drop fly balls, misjudge others, botch fundamentals, and blow late-inning leads. Gonzalez also showed his inferior managerial skills by constantly outsmarting himself with defensive shifts that came back to bite him. To add injury to insult, Dan Winkler fractured his elbow throwing a pitch, forcing Gonzalez to turn to Jim Johnson earlier than expected. Johnson ultimately had one of his patented meltdowns, as a 6-5 lead with two outs in the eighth turned into a 12-7 Cardinals laugher. That rally in particular epitomized the Braves’ ineptitude. Matt Holliday hit a fly ball that Drew Stubbs misread for a two-out single. Johnson hit Matt Carpenter to keep the inning alive, then after a game-tying single by Jeremy Hazelbaker, Gonzalez shifted towards the middle against an opposite-field threat in Stephen Piscotty. Right on cue, Piscotty hit what would have been a routine grounder to second that ended up being a game-winning RBI single. It’s going to be a very long final season at Turner Field for the Braves. I’ll admit, I briefly fell into the trap of being seduced by the Blue Jays’ potent lineup. But the reality is, this team is not nearly as good as the one that looked unstoppable late in 2015. The bullpen is an absolute mess, with Drew Storen proving why he couldn’t even stick in a mediocre Washington relief corps and Brett Cecil proving to be anything but a lefty specialist. When a team needs to turn to Arnold Leon to bail it out, there is big trouble brewing. Roberto Osuna looks good as the closer, but in a division stacked with powerful bats, Toronto is going to struggle holding leads all year. Losing David Price is a massive blow, as much as Jays fans will try and spin that Marcus Stroman is the second coming of Price. And if Tulowitzki continues to be a black hole in the lineup, the Jays could tumble towards the bottom of the East. Back to those pesky Reds for a moment. If there’s one thing you can count on, it’s them beating the Pirates. Since losing the 2013 Wild Card game in Pittsburgh, the Reds are 25-16 against the Pirates (including this weekend) despite losing 184 games over the last two seasons. If Pittsburgh can’t find a way to solve Cincinnati, it is going to look back at these games with regret once again as it tries to win its first Central division title. Be the first to comment on "An Advanced Beginner’s Guide to MLB’s First Week"